In 2008, a call was made to the local 911 Dispatch centers in Palm Beach County that a dear friend and long time communicator had breast cancer. Supervisor Nancy Simpson with Palm Beach County Fire Rescue was ill and needed our support. Agencies from Palm Beach and Broward counties in Florida came together to provide assistance to her and her family. In April of 2008 in conjunction with National Telecommunicator Week, a benefit was held to assist the Simpson family with their mounting financial obligations. It was during this time that we discovered that there are no organizations that exclusively help 911 Dispatchers and Call Takers during these debilitating times. Nancy Simpson passed away shortly after our fund raising event. She gave thirty years of service to the citizens and visitors of Palm Beach County and her memory will live on through this organization, as well as, the memories of those that followed. She would like nothing other than to help others who answer those calls on a daily basis. 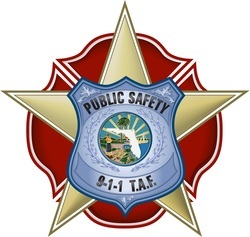 911 TAF Inc is a nonprofit organization formed exclusively for assisting 911 Public Safety Dispatchers who are suffering from life threatening illnesses and/or injuries.